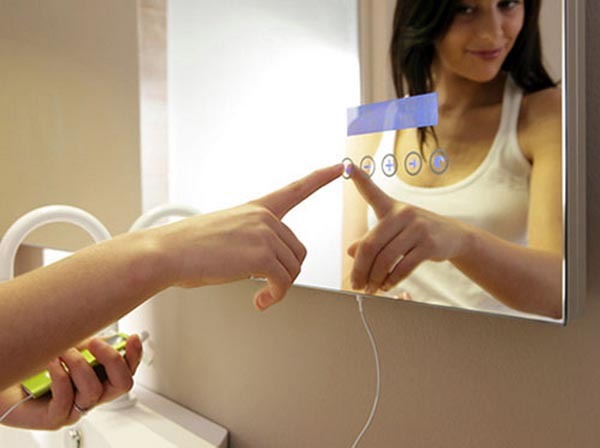 A bathroom can give an insight into your character, a hint of personal taste and the effort put into your home. 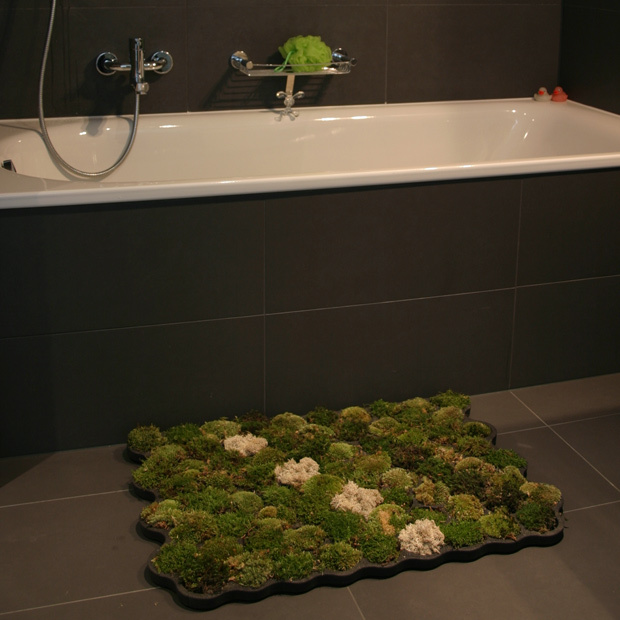 Most people want their bathroom to be a tranquil experience which could be why so many tend to be practical and well looked after. 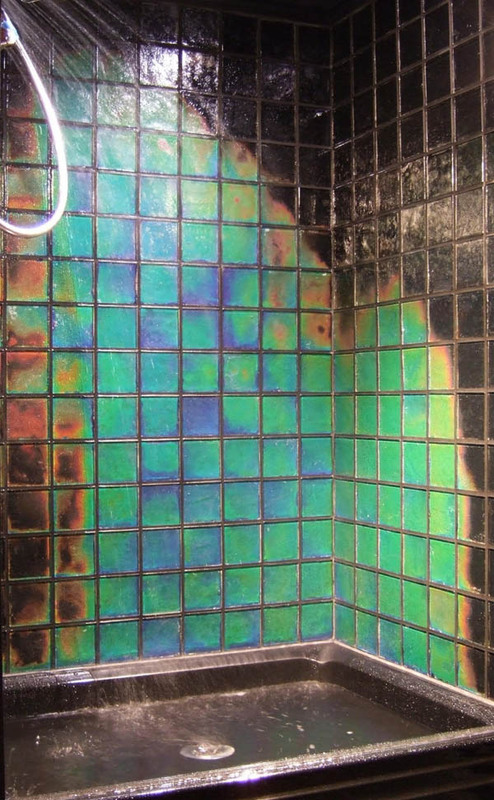 On the other hand there are a vast number of novelty bathrooms, for whatever reason there are clearly some people who prefer to let wacky side of their personality come across through their bathroom. 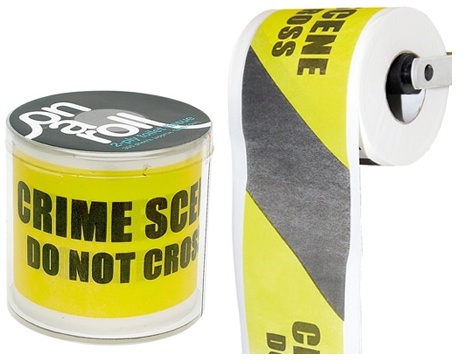 What follows is just a small selection of items that could in turns amuse, creep out and or simply confuse anyone visiting a bathroom that they are a feature of. 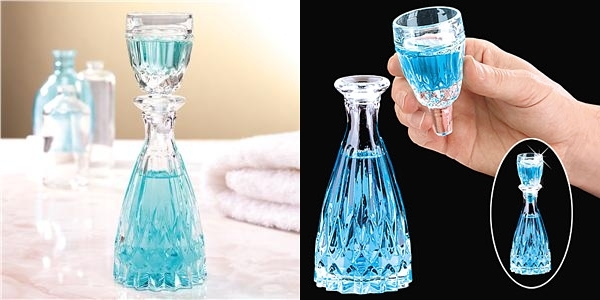 Ever thought a plastic bottle and cup were not classy enough for your neon mouthwash, well with this decanter and tumbler combo you never will again. While it might be entertaining to think inspector gadget is trapped in your wall for a while at some point you are likely to start worrying about its death trap potential. 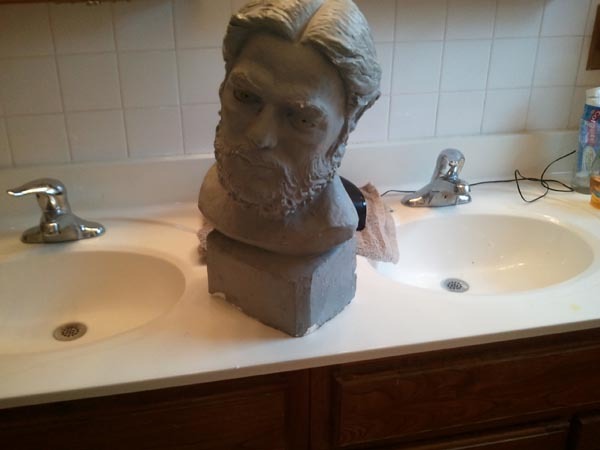 What use is a sculpture in the bathroom? To scare any guests you have over if they go for a midnight wander of course. 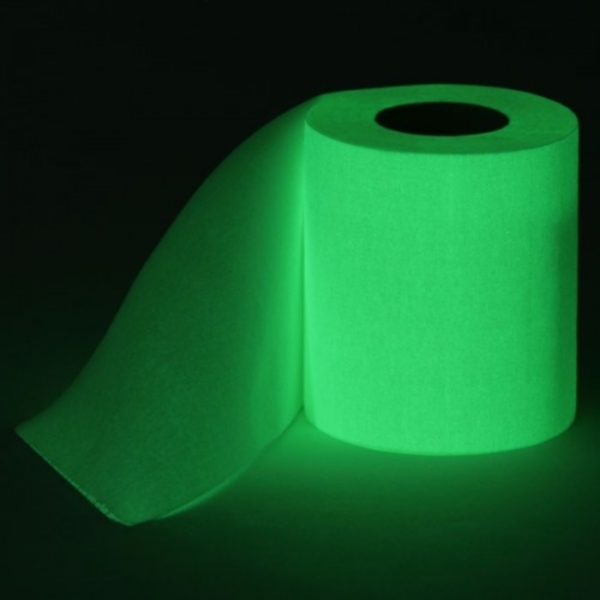 Does the usefulness of a glow in the dark toilet seat outweigh the gaudiness? I remain unconvinced. 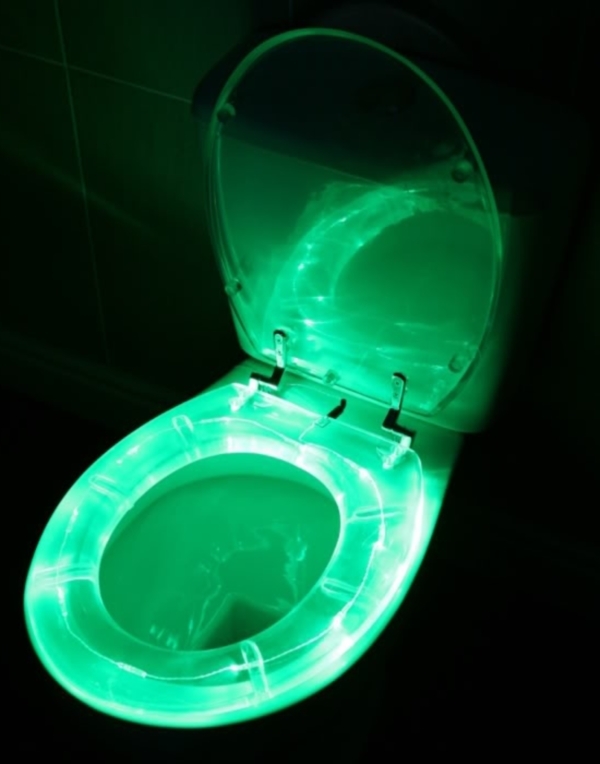 What else do you need to go with your illuminated toilet seat? A simple but practical solution to bathroom entertainment, have to remember to keep a pen close by though. 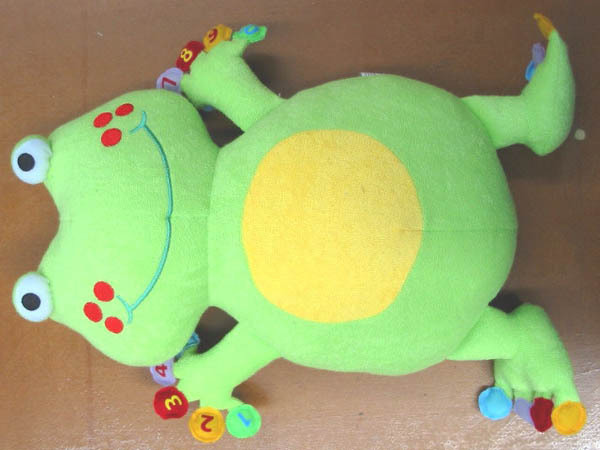 Still undecided if this is cute or terrifying, bet it is comfy though. 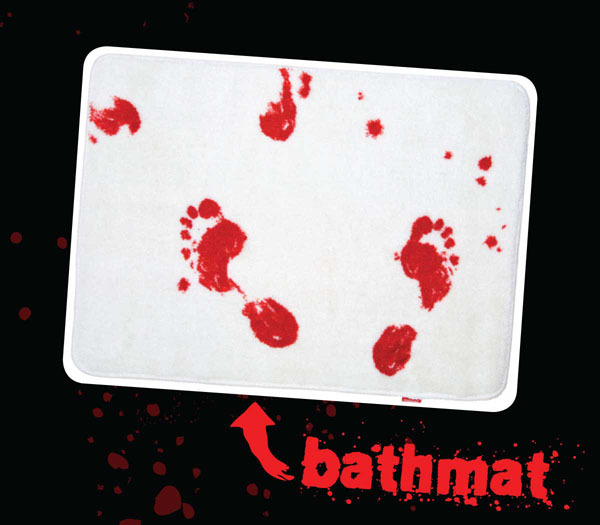 Now you can feel just like Norman Bates. 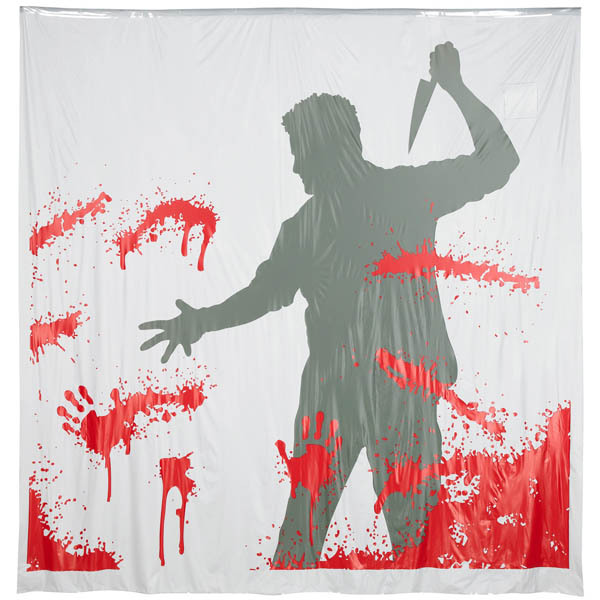 Continuing the Norman Bates theme this shower curtain has a motion activated scream sound effect straight from Psycho. 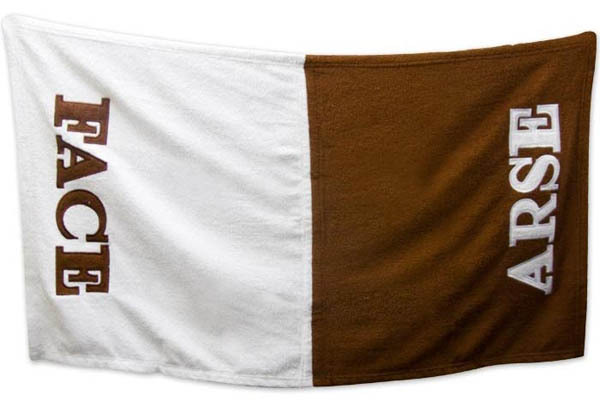 Perfect for that authentic outdoor bathroom experience. 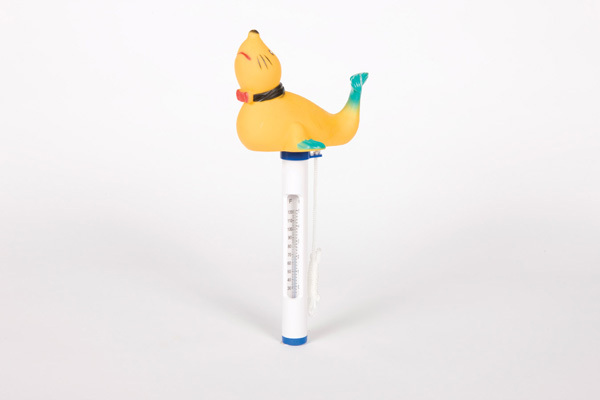 Ever use a thermometer to gauge the temperature of your bathwater, me neither but maybe the addition of a rubber sea lion might make you start. 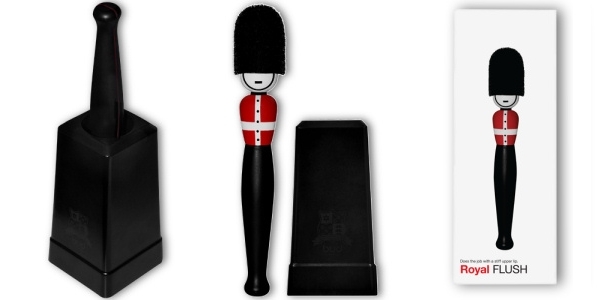 Is this really a dignified way to treat a royal guardsman? 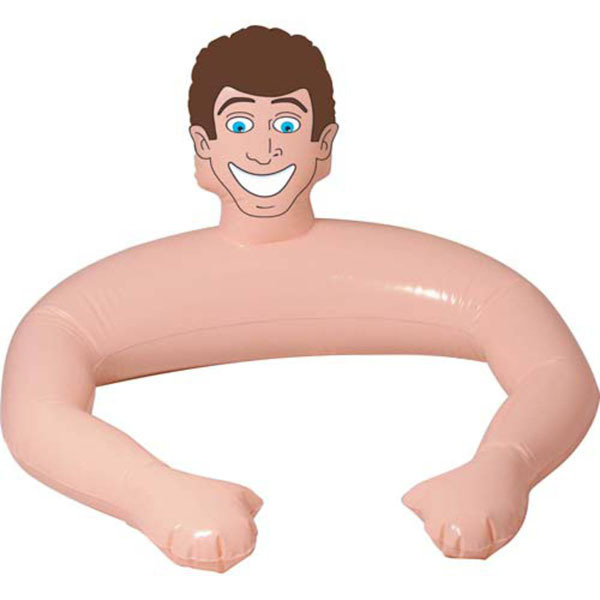 Clearly that didn’t concern the designers of this item. 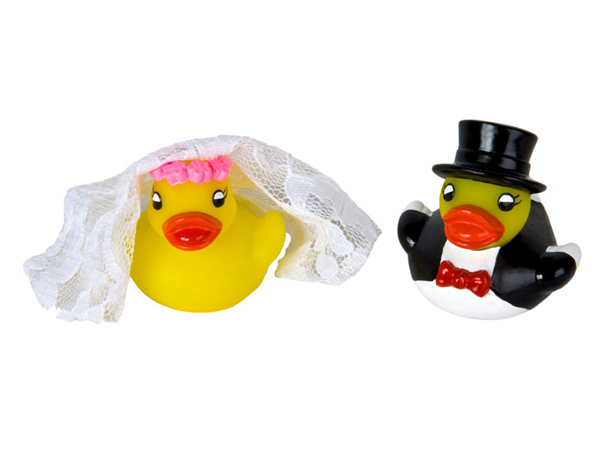 Are you of the opinion normal rubber ducks are too boring, have no personality or character development, prepare to change your mind with these. 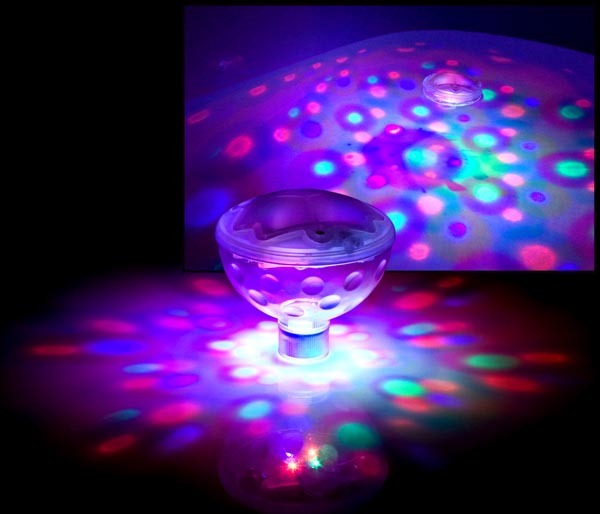 If you have ever wanted to pretend that you were in a disco while taking a bath then this is the gadget you need. 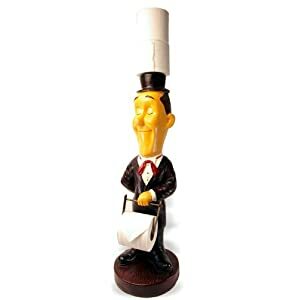 Supposedly Laurel of Laurel and Hardy but looking more like Jeeves the butler, regardless he seems unfazed at being used as a toilet roll holder. 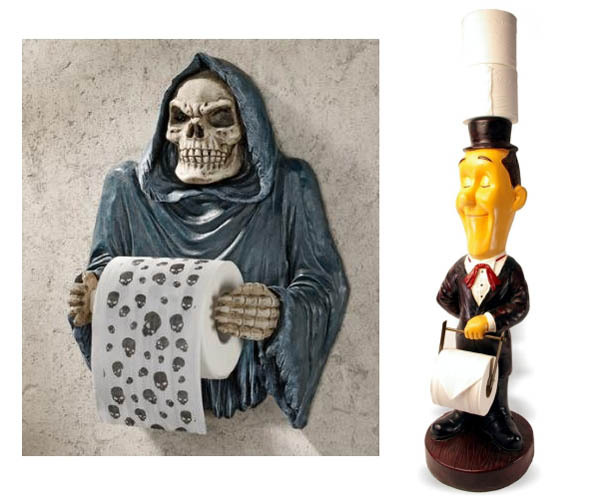 This is another one to terrify visitors, though a toilet roll is significantly less intimidating than a scythe. 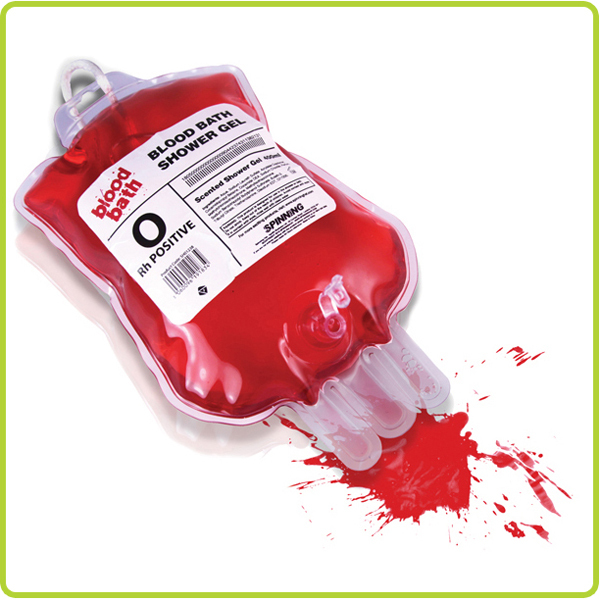 Who comes up with these ideas and then who thinks there’s a market for them, regardless Blood Bath Shower Gel exists. Is this even real, where is the proper cistern? 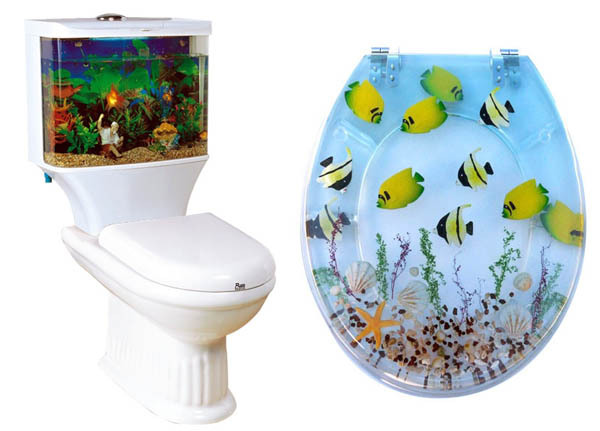 Add the seat to confuse everyone further especially the fish. 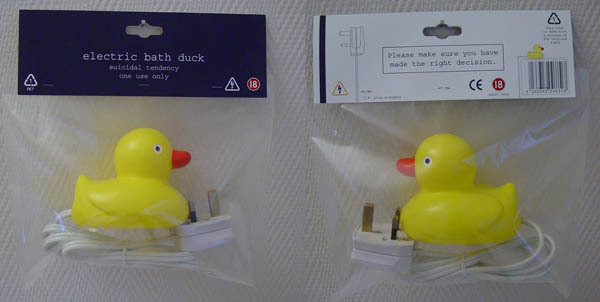 I really want these in my bathroom; would the gimmick get old quickly and clash with everything else? Almost certainly, but they look great here. Ever pretended you were a dinosaur but didn’t think you were convincing enough? 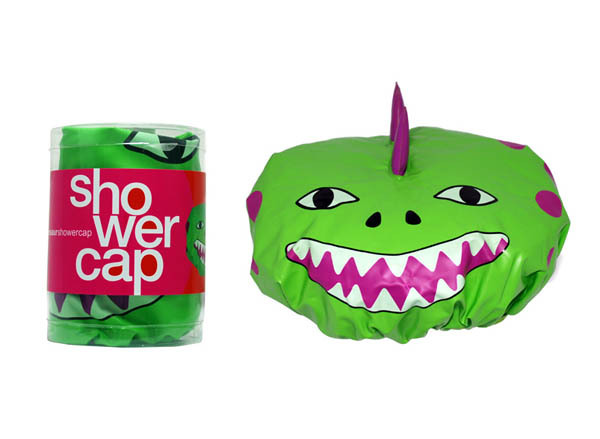 Now it is possible to do it in the safety of your shower where you can save yourself some embarrassment. 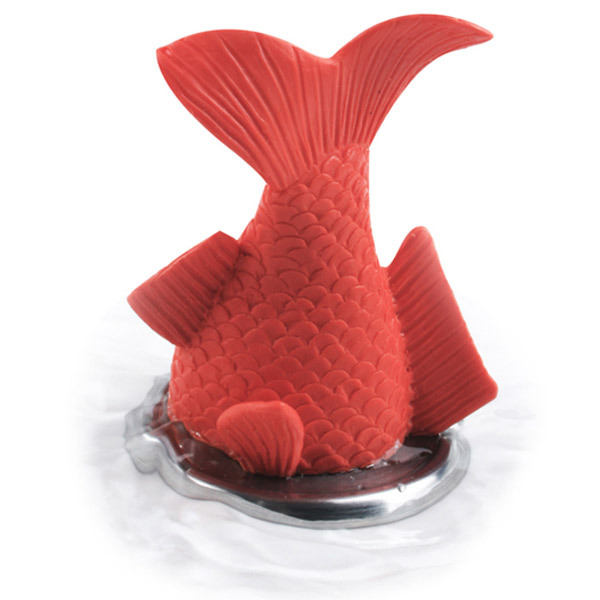 It is like there is a fish is trapped in your drain. For people who haven’t worked out a dressing gown is the only item of clothing you really need. 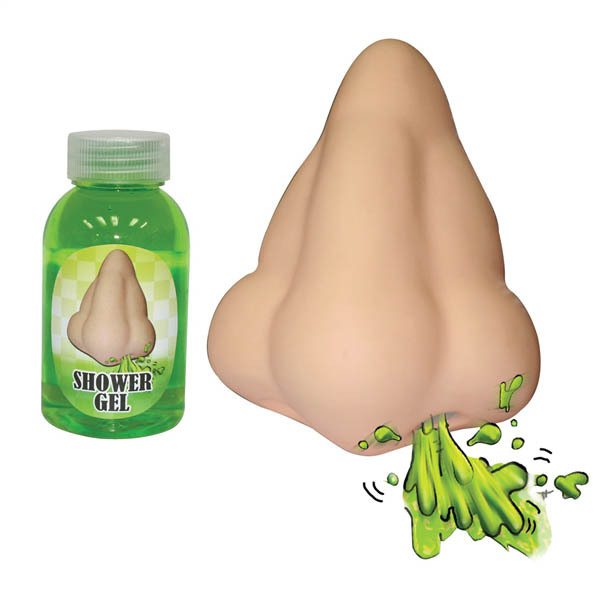 I have a feeling this is a Christmas gift you get for children and never allow them to use. Not sure that’s a face anyone would want behind them, then again maybe some people get that lonely. 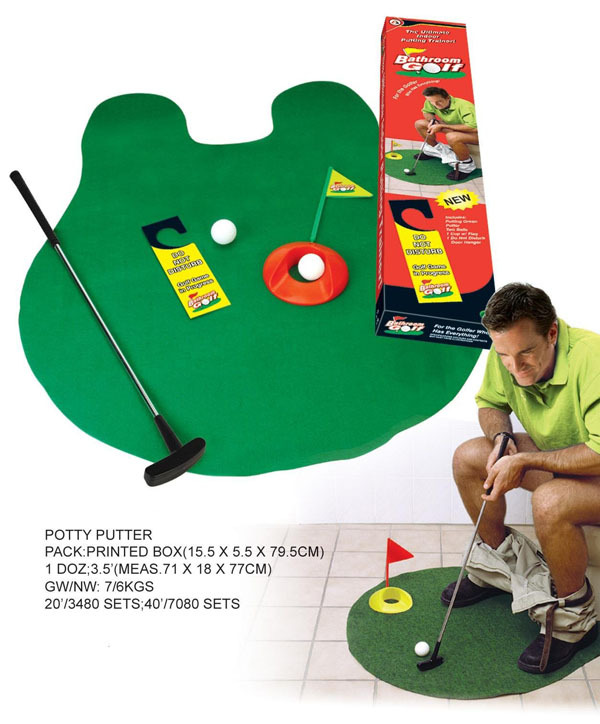 Are you so mad about golf you need to constantly practise with the golf putter? Then you need to get out more. This would certainly have been relevant in my old university flat. Is it a cake? 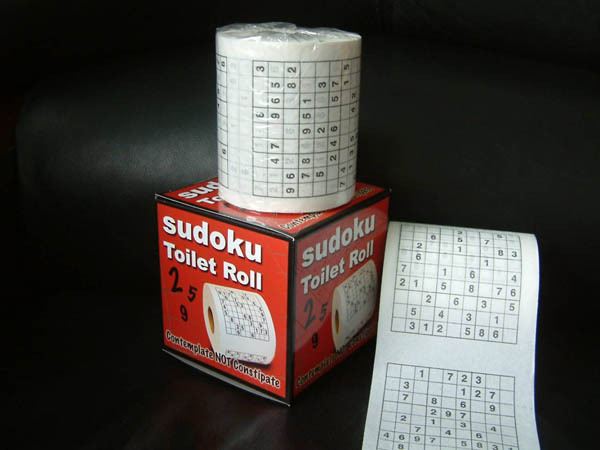 No it is a towel and soap set in the shape of a cake of course. 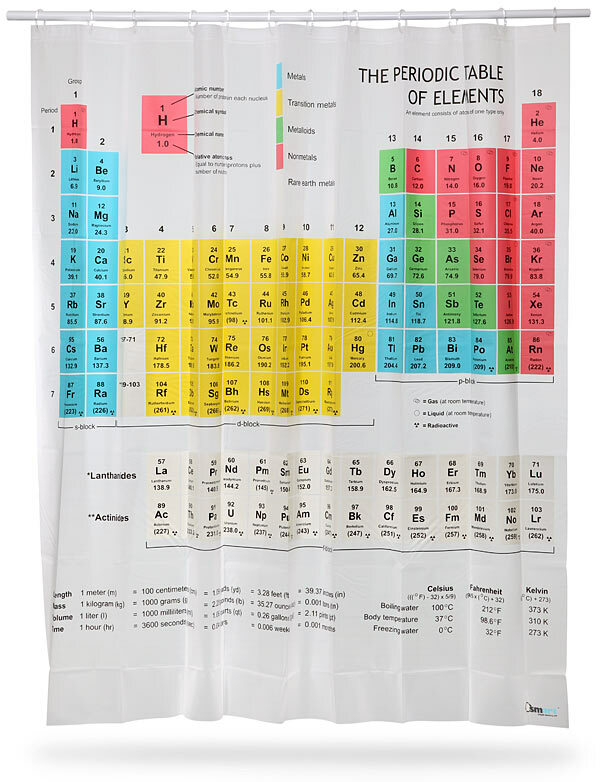 Chemistry revision is definitely something you need to be reminded of in the bathroom. 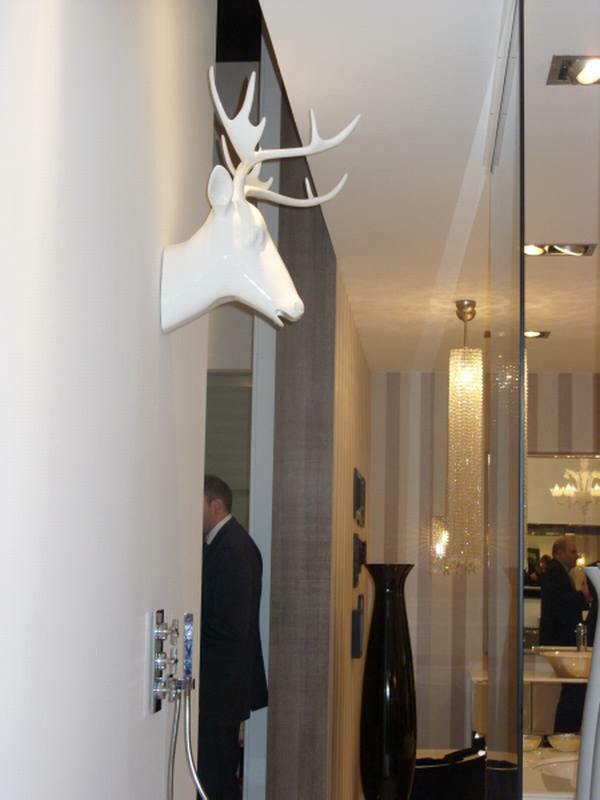 I worry about the practicality of a stags head as a shower fitting. 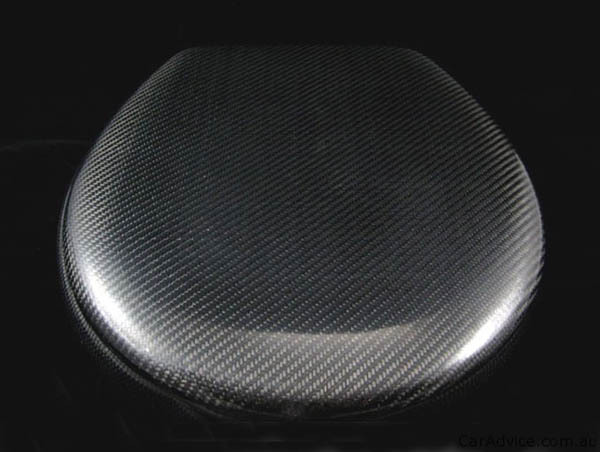 Everyone knows you need to match your bathroom furniture to your racing car. 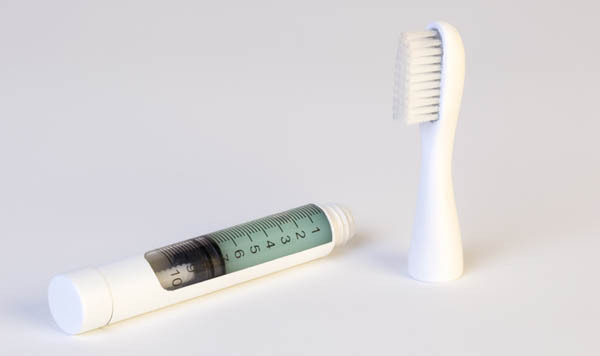 It might look like a medical instrument but it is undeniably a smart idea. 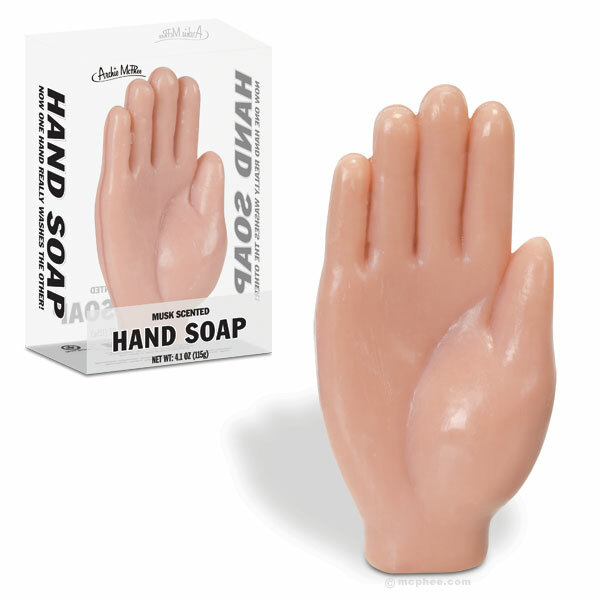 There to give you a helping hand with hygiene and terrify children. Oh mirror when did you get so hilarious? 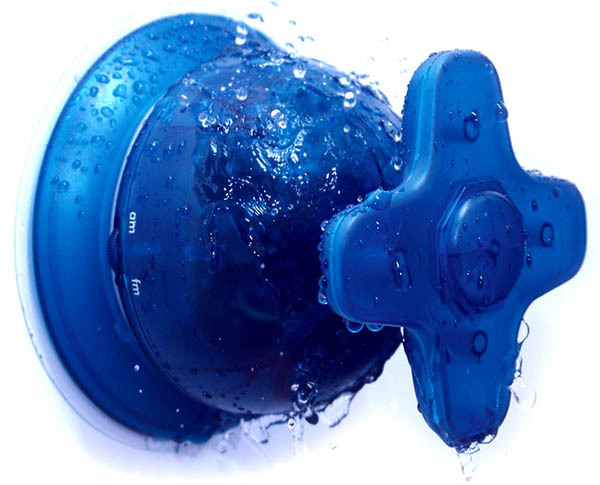 Waterproof, as all the best taps are and guaranteed to match your existing fittings. All scales have needed for years is the ability to upload your weight to social networking sites. 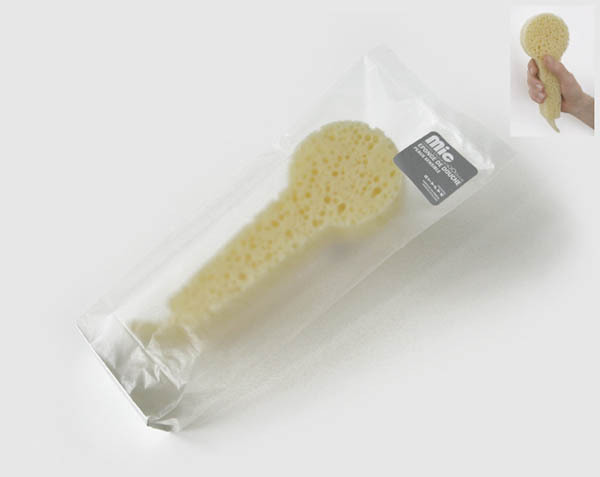 If you can’t afford the various MP3 radio gadgets perhaps you can entertain yourself with this microphone sponge. 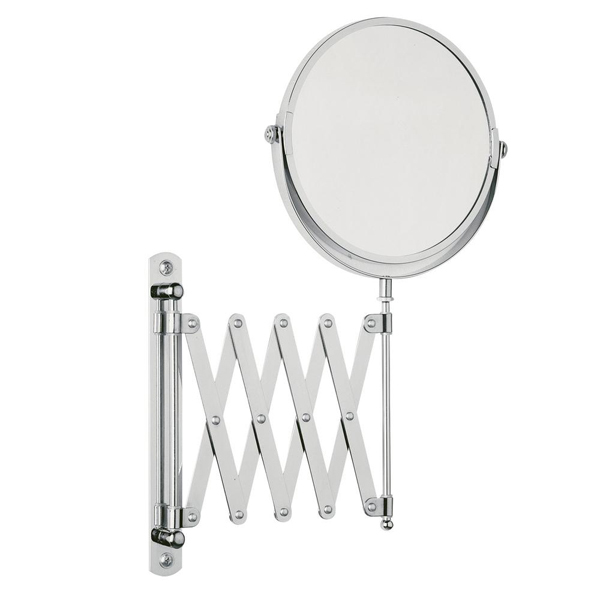 This post was written by interior designer Anne Haimes. Anne Haimes Interiors offer a comprehensive interior design service and an online store for luxury household items. You can follow them on Twitter @annehaimes or visit their website at annehaimesinteriors.co.uk.